Our lovely neighborhood of Fulton Heights came into existence in 1902 when the Southern Development Company bought nearly 100 acres in south Salisbury and subdi- vided it for sale. Roughly bounded by Fulton Street, Heilig Avenue, Ridge Avenue and Boyden Street, it was a highly desirable residential community on the outskirts of Salis- bury with all the modern amenities – waterworks, sewer, electricity and long distance telephone service by Southern Bell! In 1999, Fulton Heights was put on the Register of Historic Places to assist in preserving and maintaining the architectural examples of the neighborhood ranging in age from 1906 through the 1940’s. It consists of over 500 significant structures. This diverse neighborhood includes a few late Victorian Queen Anne houses and most prominently features Colonial, Dutch Colonial, Spanish Colonial, Tudor Revival, Prairie School and Craftsman style residences ranging in size from modest cottages and bun- galows to more stately homes. Gothic and Neo-Classical Revival styles are also represented in the institutional landmarks in the District. These are some of the “specs” that qualify Fulton Heights as a Historic District. For our residents, it is a friendly neighborhood that is constantly growing and changing yet retaining the charm and elegance of a time gone by. Fulton Heights was a very prestigious development when it opened in 1906 – everyone wanted to live here! Many of Salisbury’s most important developers and businessmen had homes here. That included Mr. L.D. Peeler – the CHEERWINE man. Back in the early 1900s, there was a business in Kentucky called the Maysville Syrup Company that made Mint Cola. The guys who owned this company wanted to expand, and Salisbury looked like a great choice. It was a well-established town, centrally located for future growth, and on a rail system that could haul the huge barrels of syrup. It just so happened that a man named Mr. L.D. Peeler owned a general wholesale store right next to the train depot in Salisbury. He had been interested in the soft drink business for some time, and this was his chance to break into the market. Peeler’s store had room in the basement to set up a bottling operation. So Mint Cola awarded Mr. Peeler and his investors the franchise to make their cola. In a short time, Peeler began producing 160 cases of Mint Cola each day out of that basement and had his own delivery trucks by 1913. Because of World War I, many soft drink producers went out of business since sugar was in short supply. Mint Cola went bankrupt in 1917, but Mr. Peeler and his investors bought all the stock for their regional franchise and changed their name to Carolina Beverage Corporation, and they kept right on making Mint Cola. About this time, Peeler and his team realized how popular the cherry-flavored fountain drinks were and decided to try something new. Late in 1917, they bought a unique cherry flavor derived from oil of almond from a flavor salesman out of St. Louis. It was naturally sweeter than other drinks with no more sugar required. Mr. Peeler mixed this with 11 other flavoring ingredients, including the Mint Cola base, to create CHEERWINE, named for its burgundy-wine coloring and cheery bubbles. 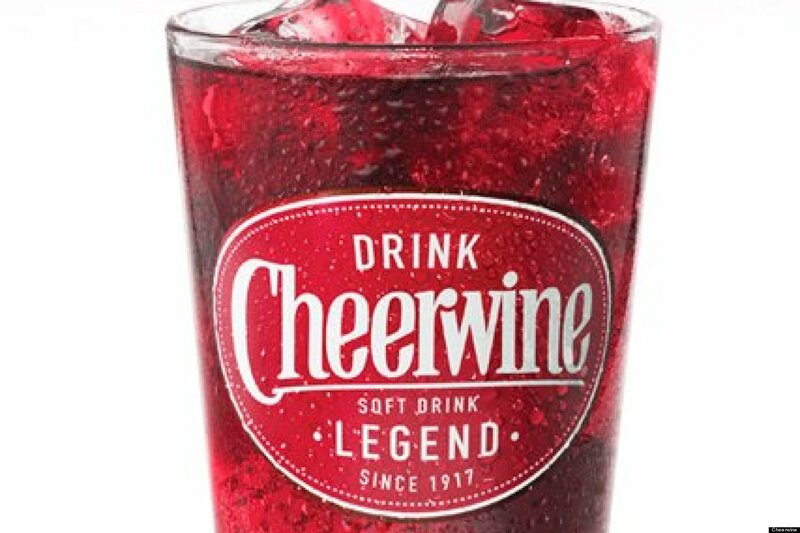 CHEERWINE grew in popularity throughout the Piedmont, and Mr. Peeler registered his trademark in 1926. About that time he also bought a lot in the popular Fulton Heights development, and in 1927 built the beautiful Italian Renaissance home at 607 Mitchell Avenue. His family and descendants lived in the house for 63 years, until 1990. There is also information that the man who was Mr. Peeler’s chemist – the one who mixed the 12 flavors to get the red bubbly drink – also lived in the 100 block of Mitchell Avenue in Fulton Heights. Sadly, Mr. L.D. Peeler died in 1931, but he left a strong business to his son, C.A. Peeler, who had the vision to make CHEERWINE a success. Mint Cola continued to be produced until later in the 1930s, but with the Great Depression and Coca-Cola effectively monopolizing the market, Carolina Beverage chose to produce only its most popular brand. By the 1940s, C.A. Peeler had expanded the business throughout North and South Carolina, and in 1981 after many successful decades, Mark Ritchie, great-grandson of L.D. Peeler and grandson of C.A. Peeler, took the helm and doubled the expansion of the business in only five years. CHEERWINE is still as popular as ever today in the Carolina’s, and Fulton Heights is still the place to live in Salisbury! The Fulton Heights Neighborhood Historic District in Salisbury, North Carolina is an intact representation of a middle and upper-middle class residential neighborhood that developed in the early twentieth century. It is among several suburbs of North Carolina towns that emerged as an outgrowth of the City Beautiful Movement. You can read more about the history of Fulton Heights or read why streetcar suburbs worked so well. The neighborhood is laid out in grid patterned streets along which houses rendered in nationally-popular styles were regularly spaced within well-landscaped yards Fulton Heights is among several neighborhoods of the period in North Carolina that boasted amenities such as a streetcar system and large park area within its boundaries. The district was listed on the National Register of Historic Places in 1998. Source: National Register nomination form, 1998. Work with organizations where joint action for the good of the neighborhood is appropriate. For the four years that it was open, from June 1906 until September of 1910*, Fulton Heights Park provided delightful entertainment to the people of Salisbury and the surrounding community. Some of the fin- est dances, shows and amusements, “with not a single indecent or crooked feature,” were presented during that time. In general, the Park included all of the blocks from Jordan Street past Boyden Street (formerly known as Bean Street) and from Heilig Avenue over to the alleyway south of Elm Street. The baseball park was laid out occupying the lots on either side of Wiley Avenue in between Jordan Street and Fries Street, with home plate near the street intersection. The trolley originally ran down the 100 block of Mitchell Avenue to Crosby Street, but was extended to Jordan Street when the Park was opened. 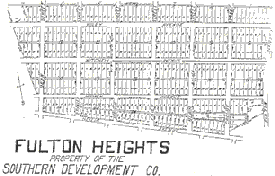 The Southern Development Company in 1902 filed the original plan for the Fulton Heights subdivision, with all the blocks and lots laid out. This plan included the Park area, which was “the prettiest property on the market,” boasted a December 1905 advertisement. “Fulton Heights will be to Salisbury what Dilworth is to Charlotte,” read an ad. In April 1906, Mr. J.M. Maupin, the primary land developer, offered a prize of $10 in gold to the person writing the best ad as to why someone should live in Fulton Heights. For $200 you could buy a lot, but had to commit to a home costing no less than $1,500! Obviously, there was a lot of marketing going on for this new subdivision. Fulton Heights Park was part of that marketing strategy, designed to entice the public into the area and interest them in living there. It worked. Prior to the opening of the Park and the big marketing campaign, only about 6 percent of all blocks showed sales activity, primarily those on Fulton Street. By 1909, there was a building boom in Fulton Heights, and by 1910 the Park and its buildings were being offered for sale first as a whole and then in part to the highest bidder. During the time the Park was open, 41 percent of the blocks had sales activity and during the five years after the Park closed, 25 percent of the blocks showed sales. The marketing campaign was a success. “The interest in Salisbury dirt was very marked and on the increase! This report was compiled from information found in more than 100 newspaper articles written from 1905-09 about Fulton Heights Park. It is written by Leslie Black. June 18, 1906 – Responding to the cordial invitation of Col. Geo. H. Hamilton to inspect his grounds and buildings and witness his housewarming, I boarded one of the many electric cars running continuously to and from the Grand Opening of the new Park. Little did I know what wondrous entertainment I would encounter! I descended from the car just at the entrance, where lay a grand flowerbed conspicuously displaying the name “Fulton Heights Park.” After stopping for refreshment at the Clubhouse, I observed children frolicking happily in the shady playground while hundreds of visitors, both families and church groups, enjoyed fellowship in the six-acre picnic grounds. As I had arrived early, I was privileged to observe the official Opening Ceremonies by the Daughters of the Confederacy, with Col. Hamilton himself “christening” his new park with a bottle of Apollinaris water, to the delight of all assembled. “Step right up!” the barker on the 300 – yard midway called to me, challenging me to test my skill at box ball, the bowling alley or cane rack games. The next enjoyment I encountered was the Electric Theatre, featuring high-class moving pictures like The Great Train Robbery along with only the Latest and Best Illustrated Song Exhibition – and for only 10 cents! Further on, the Ferris wheel rose dizzily above the Theatre with riders enjoying the view from the top. I wandered the Promenade, enjoying the beautiful gardens and delighting in the entertainment and the lively music of the concert at the Bandstand. Near the Promenade, there is a Dance Hall accommodating fully 200 people that can also be used as a skating rink, with a fine maple floor and free lessons. From the main Promenade, I descended into the Wildwood Park where nature in all its glory presides in the shade of mammoth pine, cedar, oak, hickory and ash trees. As I passed the main drive and bicycle path, I entered one of the coziest and prettiest spots on earth. Here on the side of a hill is the “Lovers Retreat” with a 30-foot flowerbed and an abundance of rustic benches and swings. Finally, I arrived at the grand Casino Theatre, which will feature only polite vaudeville and fresh, clean musical comedies all summer long. Being backed by a New York syndicate, only a high class of attractions is assured. Here, the first social “hop” of the season took place at 9:30 in the evening, and no better entertainment has ever been enjoyed. As guaranteed by the management, there was nothing but perfect order all day long, with officers on the grounds and no rowdyism or misconduct tolerated. As I strolled from the park late that evening, I too felt the wonderment expressed by all at the day’s festivities. I am looking forward with great anticipation to the Most Glorious Fourth of July Celebration at the Park, with a grand parade, prestigious orators, a balloon ascension and Col. Hamilton’s famous pyrotechnic display, the “Burning of Frisco,” at the baseball grounds next to this auspicious site – the prettiest park in the State!